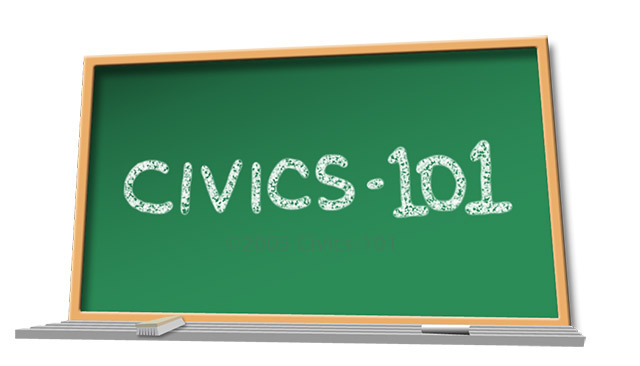 In this post I’ll begin arguing the case for making ‘civics’ (at a minimum a review of the United States budget and its implications ) an essential component in financial literacy education. I believe it’s absolutely necessary because government’s a 1,000 pound gorilla in the financial literacy classroom. Just as importantly, however, it serves up a unique learning opportunity. The essence of personal finance and therefore financial literacy is simply learning how to “choose wisely”. Since personal finance is an economic activity it’s ruled by economics’ guiding principle, scarcity. Scarcity means I can’t get all the things I want so I need to choose amongst them, make decisions. Economists’ posit that I’d choose rationally, which means ‘wisely’, in my ‘best interest’. To make these wise choices I’d need the input of good knowledge and understanding. That’s where financial literacy education comes in. In my prior posts about financial literacy basics I briefly discussed the importance of government in our financial lives. I want to drill down a bit on those concepts by using recent and planned expenditures of the US government. But first the economics. On the individual level I have scarce resources so the more I pay in tax the less I have for myself. In a sense by paying more tax I reduce my ability to choose. I also know, however, that paying tax provides real and tangible benefits to me and my fellow citizens. I therefore have a ‘quasi’ tradeoff decision to make. If I believe that the marginal benefit of an additional dollar of tax to me or society is greater than that $1 of tax I may be willing to pay it. If on the other hand I believe that additional $1 of tax would not provide any benefit, in fact if I believed it would be to the Country’s detriment then I would not want to pay it. I’d rather keep that dollar and spend or invest it as I choose. In the United States I get to choose through my right to vote. If my choice or vote doesn’t reckon with those of the majority then my choice goes unheeded. I can, however, seek out candidates for office who share my opinions and work to get them elected. It’s a process. Government too is subject to the economic principle of scarcity, i.e, there’s only so many dollars to go around. It too, needs to make wise decisions for ‘we the people’. I think it’s instructive, therefore, to consider the numbers in order to make informed decisions. Recent history, the 2011 debt ceiling debate, provides an excellent example. Remember the US government was close to curtailing operations due to the partisan nature of the debate. The result was an agreement to make $2 Trillion (T) in cuts (the vast majority of which have yet to be identified) over the next 10 years. In the fiscal year 2007 (ended 9/30/07) the US government spent approx. $2.7T. The expected expenditures in fiscal 2010, 3 years later is expected to come in at $3.8T, an increase of approx. $1.1T. If we were to simply multiply that difference over the next 10 years (the period debated in congress) we’d have an $11T increase. Many fiscal critics remarked that the 2007 expenditures were excessive. My question: If there’s a potential $11T in cuts, why’s $2T such a big deal? I suspect the devils in the details. To be continued………….. I want to have my independence, I want to leave a legacy for my children and I want to contribute to our lives and financial stabilty. Once again easy to understand and loved the paragraph and explanation of “scarcity”. Agree with you, makes it easy to understand this concepts.